The Department of Veterans Affairs (VA) announced nine new strategic partnerships that will provide additional health care and support services for Veterans and their families. These new formal relationships are the latest in a series of strategic partnerships developed to bring the private and public sectors together with VA to enhance the Veteran experience. “Strategic partnerships allow us to expand the reach of services available for Veterans and their families,” said Secretary Robert A. McDonald. Through their “Operation: Support our Heroes project,” Cardinal Health has pledged to donate 2,000 care packages (consisting of toiletries and other personal hygiene items), as well as other consumer health products to VA facilities for distribution to homeless Veterans. The program is being piloted at 9 VA facilities across the country, including several in the Midwest, parts of the Southwest, and California. Downs Designs Dreams works to design and develop clothing specifically designed for individuals with disabilities. VA has partnered with Downs Designs Dreams to put these tailored designs in the hands of Veterans with disabilities. To date, Downs Designs Dreams has already donated 166 pairs of jeans to Veterans through this partnership, representing an investment of $8,610. Dream Foundation is dedicated to honoring our Veterans’ service by fulfilling their final Dream, providing them, their families and caregivers inspiration, comfort and closure at the end of life. Through this partnership, VA social work staff will coordinate referrals to support Dream fulfilment for Veterans experiencing life-limited illnesses. First Quality Enterprises is an American manufacturer of absorbent hygiene (adult incontinence, feminine care, and baby care), tissue (bath and towel), and industrial (non-woven fabrics, print and packaging materials, thermoformed plastics) products, serving institutional and retail markets throughout the world. First Quality is teaming up with the VA to donate baby products to pregnant women Veterans through VA’s maternity care coordinators. In partnership with VA, Hair Cuttery is sponsoring their annual “Share-A-Haircut” program. For every adult haircut purchased in any Hair Cuttery salon on Veterans Day, Nov 11th, Hair Cuttery will donate 2 free haircut certificates for VA patients who may otherwise be unable to get this type of professional service. All Hair Cuttery locations are participating and will honor the certificates through January 25, 2017. The Jonas Center is dedicated to improving Veterans health by developing outstanding nursing researchers, educators and clinical leaders. This partnership builds and supports a network of current and former VA Jonas Nursing Scholars to focus on Veteran-specific healthcare needs. This year’s Veteran’s Day parade features NCR’s self-service kiosks in New York, N.Y. and Los Angeles, Calif. developed by NCR especially for Veterans. 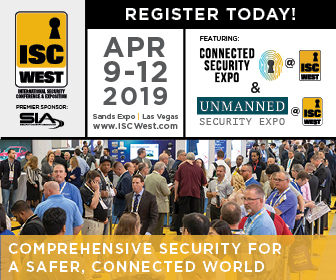 It provides a point-of-service for all veterans (rural, homeless, economically disadvantaged, and medically disabled) and their spouses and dependents, via NCR’s world-class self-service technology. Project Hero is national nonprofit that saves lives by providing hope, recovery, and resilience for Veterans focusing on physical and psychological rehabilitation programs. Through this partnership, VA Mental Health and Recreation Therapy resources will be made available to Veterans participating in Project Hero’s “Ride 2 Recovery” research programs. UTR unites families facing physical separation by facilitating the bonding experience of reading aloud together. They offer an opportunity for military service members and Veterans to video record a book for children or grandchildren who are located elsewhere. The child receives a copy of the book with the video to read along. The first Veteran site to participate is Honolulu, Hawaii, and they have readings leading up to Veterans Day. This latest round of partnerships reflects the growing number of success VA has achieved over the last eighteen months. By nurturing and maturing these relationships, VA is able to help focus the Nation’s powerful support and goodwill for Veterans and their families. In the last 18 months, VA’s partnerships and collaborations have brought in more than $300 million in investments and in-kind services to support America’s veterans. “Our Veterans have honorably – and voluntarily – served our Nation. Now it’s our turn to provide them a quality of life that matches that service” said Matthew S. Collier, Senior Advisor for Strategic Partnerships. The United States has the most comprehensive system of assistance for Veterans of any nation in the world, with roots that can be traced back to 1636, when the Pilgrims of Plymouth Colony were at war with the Pequot Indians. The Pilgrims passed a law that stated that disabled soldiers would be supported by the colony. Later, the Continental Congress of 1776 encouraged enlistments during the Revolutionary War, providing pensions to disabled soldiers. In the early days of the Republic, individual states and communities provided direct medical and hospital care to Veterans. In 1811, the federal government authorized the first domiciliary and medical facility for Veterans. Also in the 19th century, the nation’s Veterans assistance program was expanded to include benefits and pensions not only for Veterans, but for their widows and dependents. Following the Civil War, many state Veterans homes were established. Since domiciliary care was available at all state Veterans homes, incidental medical and hospital treatment was provided for all injuries and diseases, whether or not of service origin. Indigent and disabled Veterans of the Civil War, Indian Wars, Spanish-American War, and Mexican Border period, as well as the discharged regular members of the Armed Forces, received care at these homes. As the U.S. entered World War I in 1917, Congress established a new system of Veterans benefits, including programs for disability compensation, insurance for service personnel and Veterans, and vocational rehabilitation for the disabled. By the 1920s, three different federal agencies administered the various benefits: the Veterans Bureau, the Bureau of Pensions of the Interior Department, and the National Home for Disabled Volunteer Soldiers. The first consolidation of federal Veterans programs took place August 9, 1921, when Congress combined all World War I Veterans programs to create the Veterans Bureau. Public Health Service Veterans’ hospitals were transferred to the bureau, and an ambitious hospital construction program for World War I Veterans commenced. World War I was the first fully mechanized war, and as a result, soldiers who were exposed to mustard gas, other chemicals and fumes required specialized care after the war. 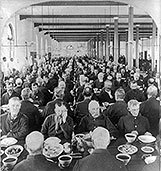 Tuberculosis and neuro-psychiatric hospitals opened to accommodate Veterans with respiratory or mental health problems. A majority of existing VA hospitals and medical centers began as National Home, Public Health Service, or Veterans Bureau hospitals. In 1924, Veterans benefits were liberalized to cover disabilities that were not service-related. In 1928, admission to the National Homes was extended to women, National Guard and militia Veterans. The second consolidation of federal Veterans programs took place July 21, 1930, when President Herbert Hoover signed Executive Order 5398 and elevated the Veterans Bureau to a federal administration—creating the Veterans Administration—to “consolidate and coordinate Government activities affecting war veterans.” At that time, the National Homes and Pension Bureau also joined the VA. The three component agencies became bureaus within the Veterans Administration. Brig. Gen. Frank T. Hines, who had directed the Veterans Bureau for seven years, was named the first Administrator of Veterans Affairs, a job he held until 1945. Dr. Charles Griffith, VA’s second Medical Director, came from the Public Health Service and Veterans Bureau. Both he and Hines were the longest serving executives in VA’s history. 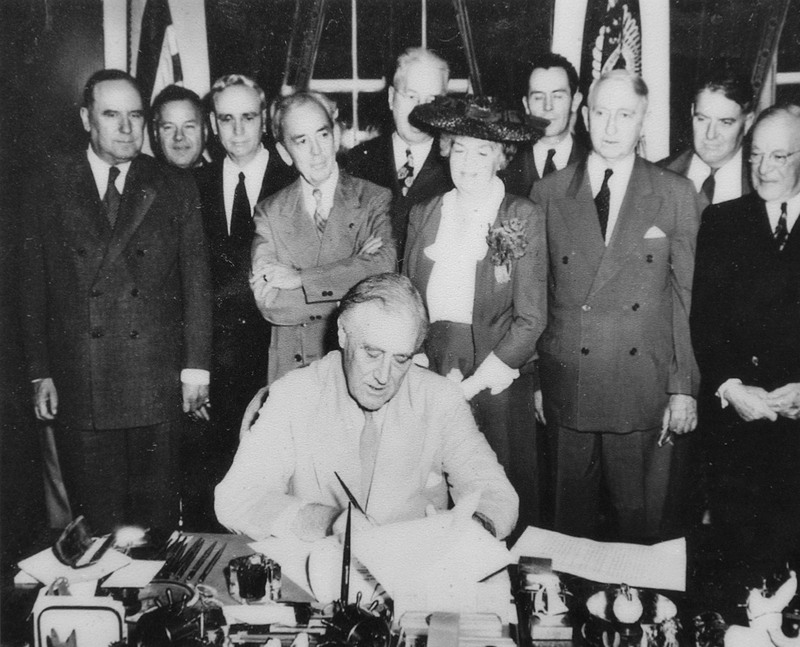 Following World War II, there was a vast increase in the Veteran population, and Congress enacted large numbers of new benefits for war Veterans—the most significant of which was the World War II GI Bill, signed into law June 22, 1944. It is said the GI Bill had more impact on the American way of life than any law since the Homestead Act of 1862. The GI Bill placed VA second to the War and Navy Departments in funding and personnel priorities. Modernizing the VA for a new generation of Veterans was crucial, and replacement of the “Old Guard” World War I leadership became a necessity. The VA Home Loan Guaranty Program is the only provision of the original GI Bill that is still in force. 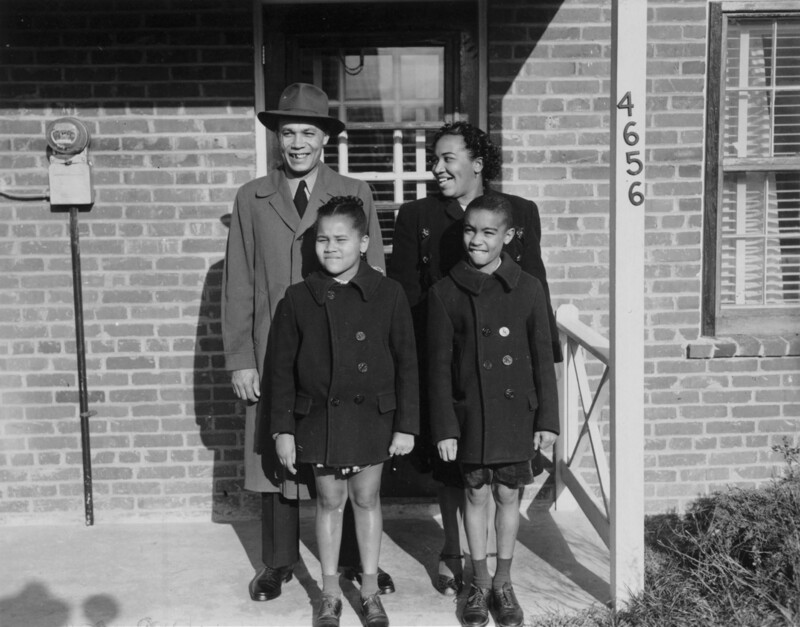 Between the end of World War II and 1966, one-fifth of all single-family residences built were financed by the GI Bill for either World War II or Korean War Veterans. From 1944 through December 1993, VA guaranteed 13.9 million home loans valued at more than $433.1 billion. Eligible loan guaranty users are now able to negotiate loan terms, including the interest rate, which helps VA loan participants to compete better in the housing market. The loan guaranty program no longer has a terminating date and can be used by any Veteran who served after Sept. 16, 1940, as well as men and women on active duty, surviving spouses and reservists. To assist the Veteran between discharge and reemployment, the 1944 GI Bill also provided unemployment benefits of $20 per week, for a maximum of 52 weeks. It was a lesser amount than the unemployment benefits available to non-veterans. This assistance avoided a repetition of the World War I demobilization, when unemployed Veterans were reduced to relying on charities for food and shelter. Critics dubbed the benefit the “52-20 Club” and predicted most Veterans would avoid jobs for the 52 weeks that the checks were available. But only a portion of Veterans were paid the maximum amount available. Less than one-fifth of the potential benefits were claimed, and only one out of 19 Veterans exhausted the full 52 weeks of checks. In 1945, General Omar Bradley took the reins at VA and steered its transformation into a modern organization. 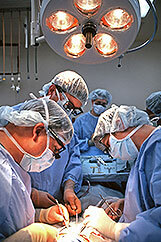 In 1946, Public Law 293 established the Department of Medicine and Surgery within VA, along with numerous other programs like the VA Voluntary Service. The law enabled VA to recruit and retain top medical personnel by modifying the civil service system. When Bradley left in 1948, there were 125 VA hospitals. 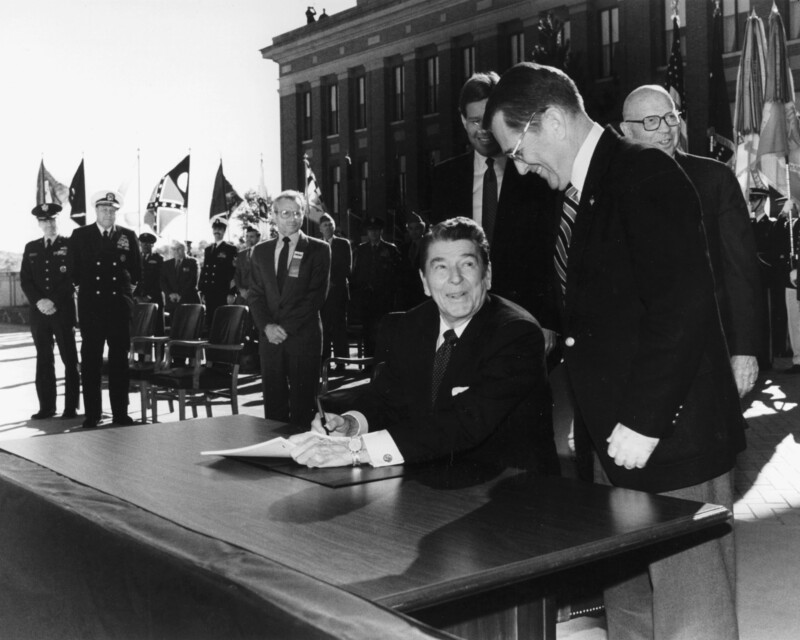 The VA was elevated to a cabinet-level executive department by President Ronald Reagan in October 1988. The change took effect March 15, 1989, and administrative changes occurred at all levels. President George H. W. Bush hailed the creation of the new Department, saying, “There is only one place for the Veterans of America, in the Cabinet Room, at the table with the President of the United States of America.” The Veterans Administration was then renamed the Department of Veterans Affairs, and continued to be known as VA.
VA’s Department of Medicine and Surgery, established in 1946, was re-designated as the Veterans Health Services and Research Administration at that time, though on May 7, 1991, the name was changed to the Veterans Health Administration (VHA). 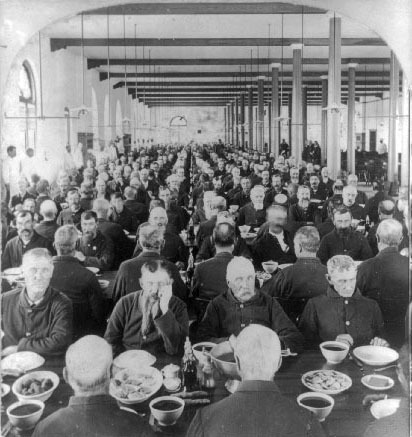 VHA evolved from the first federal soldiers’ facility established for Civil War Veterans of the Union Army. On March 3, 1865—a month before the Civil War ended and the day before his second inauguration—President Abraham Lincoln signed a law to establish a national soldiers and sailors asylum. 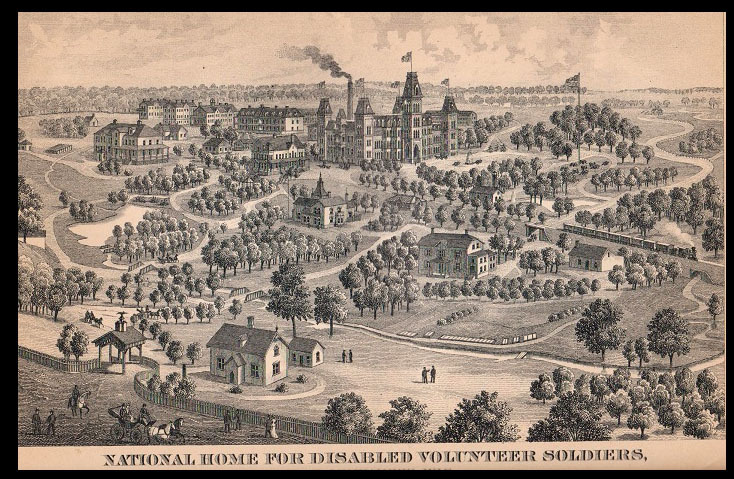 Renamed as the National Home for Disabled Volunteer Soldiers in 1873, it was the first-ever government institution created specifically for honorably discharged volunteer soldiers. The first national home opened November 1, 1866, near Augusta, Maine. The national homes were often called “soldiers’ homes” or “military homes,” and only soldiers who fought for the Union Army—including U.S. Colored Troops—were eligible for admittance. These sprawling campuses became the template for succeeding generations of federal Veterans’ hospitals. By 1929, the federal system of national homes had grown to 11 institutions that spanned the country and accepted Veterans of all American wars. But it was World War I that brought about the establishment of the second largest system of Veterans’ hospitals. In 1918, Congress tasked two Treasury agencies — the Bureau of War Risk Insurance and Public Health Service –with operating hospitals specifically for returning World War I Veterans. They leased hundreds of private hospitals and hotels for the rush of returning injured war Veterans and began a program of building new hospitals. Today’s VHA–the largest of the three administrations that comprise VA–continues to meet Veterans’ changing medical, surgical and quality-of-life needs. New programs provide treatment for traumatic brain injuries, post-traumatic stress, suicide prevention, women Veterans and more. VA has opened outpatient clinics, and established telemedicine and other services to accommodate a diverse Veteran population, and continues to cultivate ongoing medical research and innovation to improve the lives of America’s patriots. VHA operates one of the largest health care systems in the world and provides training for a majority of America’s medical, nursing and allied health professionals. Roughly 60 percent of all medical residents obtain a portion of their training at VA hospitals; and VA medical research programs benefit society at-large. The VA health care system has grown from 54 hospitals in 1930, to include 152 hospitals, 800 community-based outpatient clinics, 126 nursing home care units and 35 domiciliaries. On July 17, 1862, Congress enacted legislation that authorized the president to purchase “cemetery grounds” to be used as national cemeteries “for soldiers who shall have died in the service of the country.” That first year, 14 cemeteries were established, including one in the sleepy Maryland town of Sharpsburg, where 4,476 Union soldiers were laid to rest following the bloody Battle of Antietam. By 1870, the remains of nearly 300,000 Union dead from the Civil War had been buried in 73 national cemeteries. Most of the cemeteries were located in the Southeast, near the battlefields and campgrounds of the Civil War. After the war, Army crews scoured the countryside to locate the remains of soldiers who had died in battle. They were buried with honor in the new national cemeteries. However, the identities are unknown for nearly half of those who died in service to the Union and are buried in national cemeteries. The national cemetery system has evolved slowly since the initial period of great challenge associated with the Civil War. All honorably discharged Veterans became eligible for burial in 1873. In the 1930s, new national cemeteries were established to serve Veterans living in major metropolitan areas such as New York, Baltimore, Minneapolis, San Diego, San Francisco and San Antonio. Several of them, closely associated with battlefields such as Gettysburg, were transferred to the National Park Service because of the value of their use in interpreting the historical significance of the battles. In 1973, Public Law 93-43 authorized the transfer of 82 national cemeteries from the Department of the Army to the Veterans Administration, now the Department of Veterans Affairs. Joining with 21 VA Veterans cemeteries located at hospitals and nursing homes, the National Cemetery System comprised 103 cemeteries after the transfer. On November 11, 1998, the President signed the Veterans Programs Enhancement Act of 1998, changing the name of the National Cemetery System to the National Cemetery Administration (NCA). 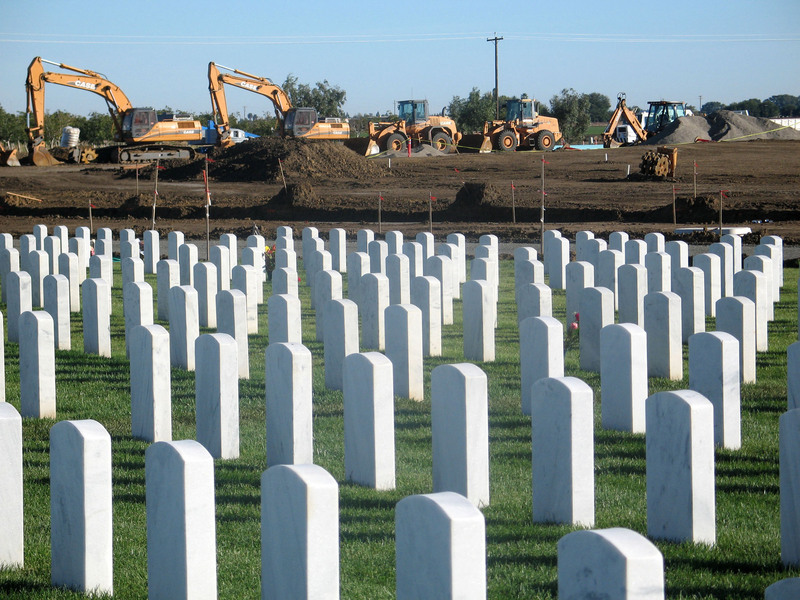 Today, there are 147 national cemeteries in all, with new cemeteries in development. Through NCA, VA administers 131 of them. Two national cemeteries—Arlington and the United States Soldiers’ and Airmen’s Home National Cemetery—are still maintained by the Department of the Army. Fourteen national cemeteries are maintained by the Department of the Interior. More than 3.7 million people, including Veterans of every war and conflict—from the Revolutionary War to the wars in Iraq and Afghanistan—are honored by burial in VA’s national cemeteries. Today there are more than 22 million living Veterans who have earned the honor of burial in a national cemetery, including the more than 350 Medal of Honor recipients buried in VA’s national cemeteries. More than 19,000 acres of land are devoted to the memorialization of those who served this nation.